Hey guys! Happy Friday! First of all, I want to wish all of you tons of luck who are running Pittsburgh this weekend (or doing any other races!). I always seem to be busy the week of the Pittsburgh marathon, but I'm hoping to participate again next year. I'll be wishing a dry and cool weekend for you all, and can't wait for all of the race recaps! Now, onto some favorites from the week! This might be one of the most random collections of favorites I've ever shared..I have some products, apps, news stories, and more to share. I hope you enjoy, and have a fantastic weekend! One of my guilty pleasures is putting on a face mask at the end of the night and watching Netflix. I love all different kinds of masks, but my favorite are sheet masks! I ordered this variety pack of Korean sheet masks on Amazon, and I'm obsessed. To be honest, I haven't noticed a huge change in my skin when I use them, but they're a nice little treat and help to moisturize your skin! I love trying out new apps, and right now my favorite one is Periscope! While I've never personally 'scoped, I love watching other people and interacting with them while they're broadcasting live. Some of my favorite scopes to watch are "get ready with me", where a makeup guru will scope as they get ready for the day. If you're looking for a great one to watch I would recommend Samantha Ravndahl, who is hilarious and also an amazing makeup artist! In case you haven't heard, Kelly Ripa's co-host on her morning talk show, Michael Strahan, just announced that he was leaving the show to work full-time at Good Morning America. Apparently this wasn't shared with Kelly before the news went public. She took a few days off the show, then once she came back, she addressed the controversy and the reasons why she took off. I've always been a huge fan of Kelly's, and have tuned into the morning show back when it was with Regis and Kathie Lee. You can tell that Kelly becomes very close with her co-hosts and they almost seem like family. I know this situation must have been really tough, so I think Kelly handled it with grace and comedy like everything she does. Now I'm just excited to see who will take Michael's place! I have pretty thick eyebrows that can get unruly very quickly. I've always had them waxed a few times a year to get a good shape, and then pluck them in between visits. About a year ago though, I switched over to threading and haven't looked back! Life has been so hectic lately that I haven't been watching a ton of TV, but I have been keeping up with DWTS! My favorites from the beginning have been Nyle, Paige, Wayna and Antonio- they're all still doing great! This season there aren't really any people that I dislike or think are bad dancers. I feel like everyone who's left could easily end up winning, but I'm going to call Nyle for the win. I honestly love the kitchen as it is, but I'm excited to work on a few projects to make it *mine*! I share some inspiration and what my plans are for my little kitchen! Tell me about your week! Hi everyone! Today I have one of my favorite posts to share- my spring wish list! 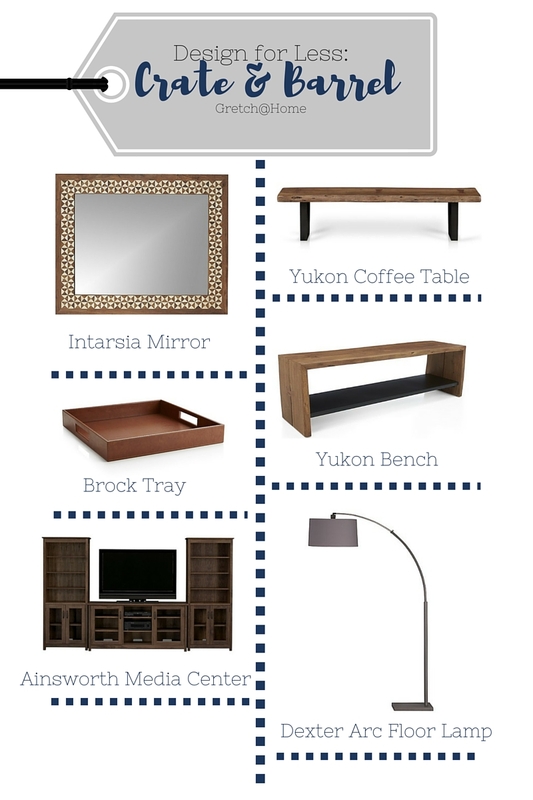 We are right in the heart of spring, so I thought it was a perfect time to share what I'm checking out lately. 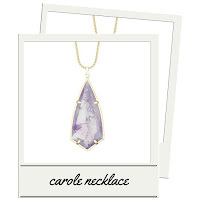 I decided to share a variety of products in two of my favorite spring colors- purple and white. 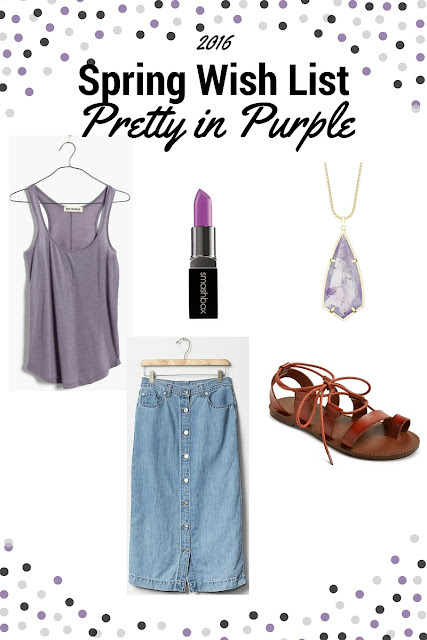 Purple is one of my favorite colors to wear, and nothing beats breaking out that fresh white once it warms up outside. 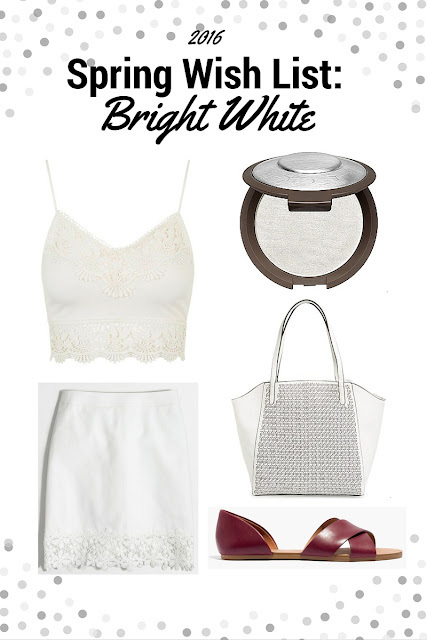 I hope you enjoy seeing two outfits that I came up with, and I would love to hear what's on your wish list this spring! 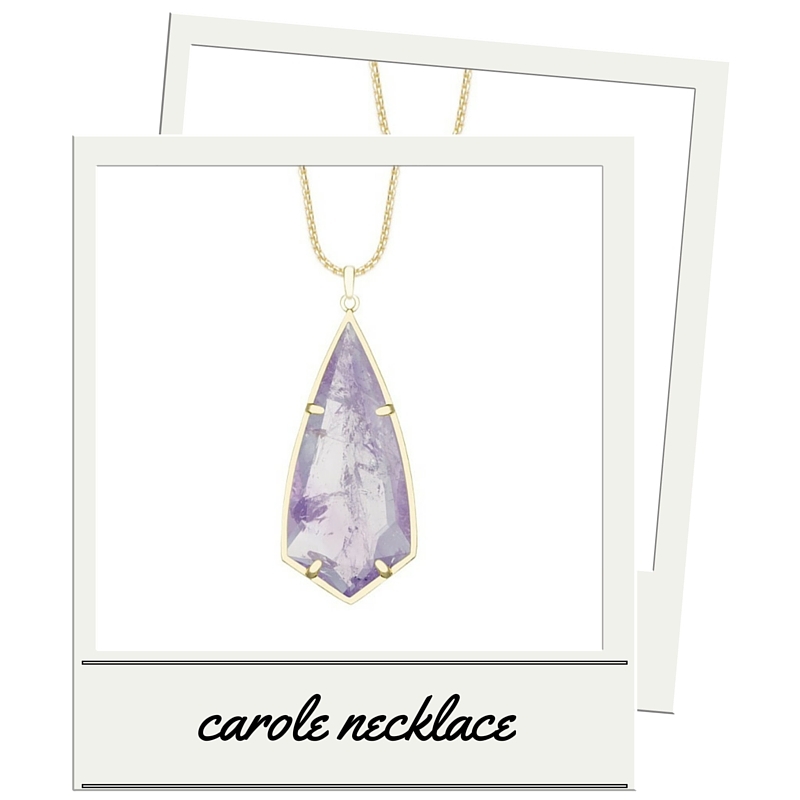 This brand has the most gorgeous jewelry, and I'm drooling over this beautiful amethyst necklace. 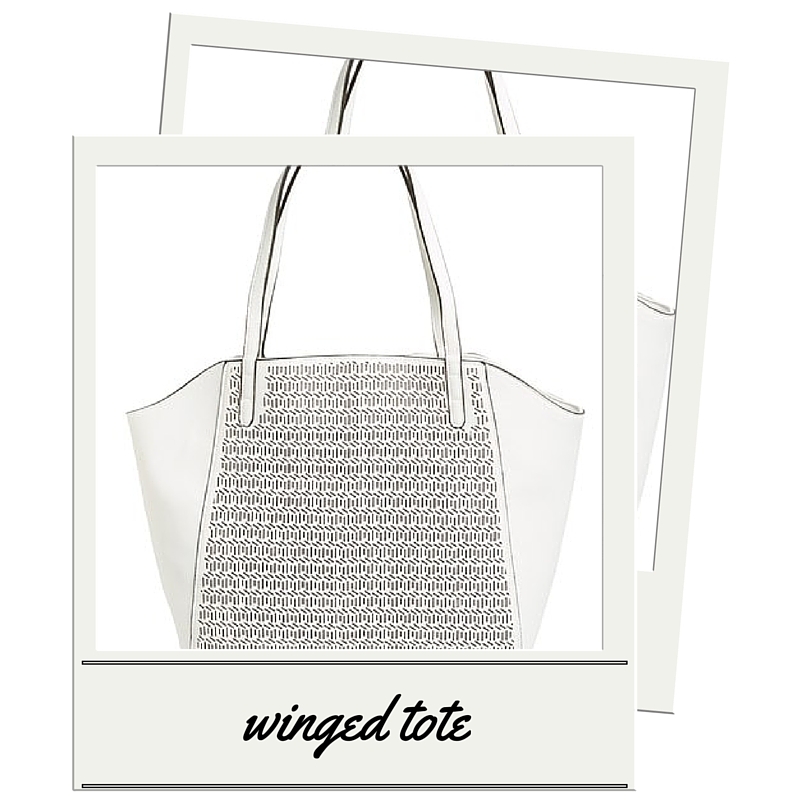 It's delicate but still a show-stopper! 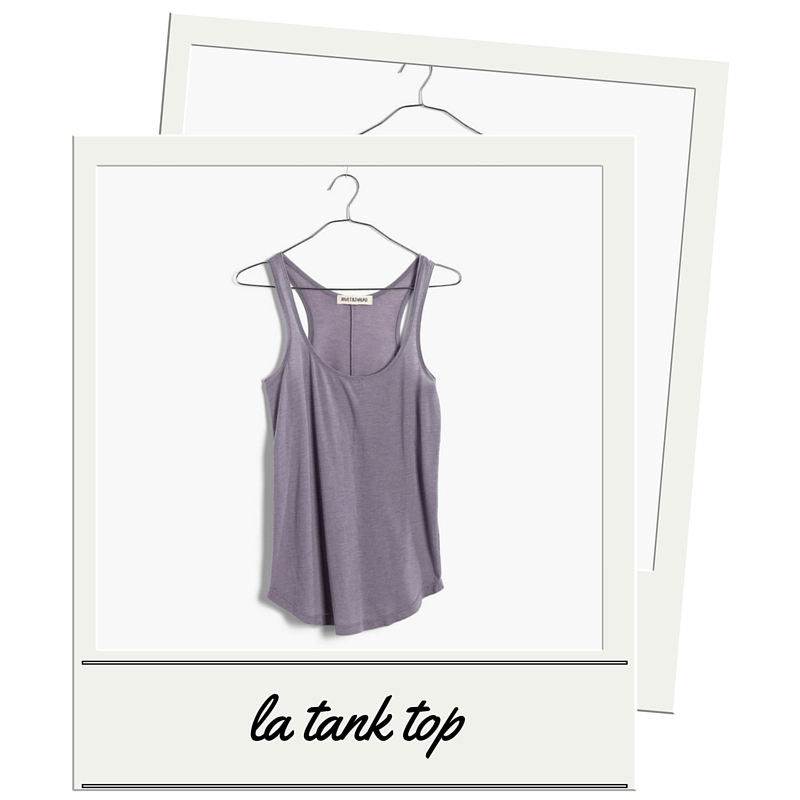 How soft and amazing does this tank look?! I could see this becoming an everyday essential either worn alone or under a jean jacket. I could see myself picking up this top in every single color! Button front skirts and midi lengths are all the rage, so I thought this was a stylish yet classic style that would look great with the purple tank! 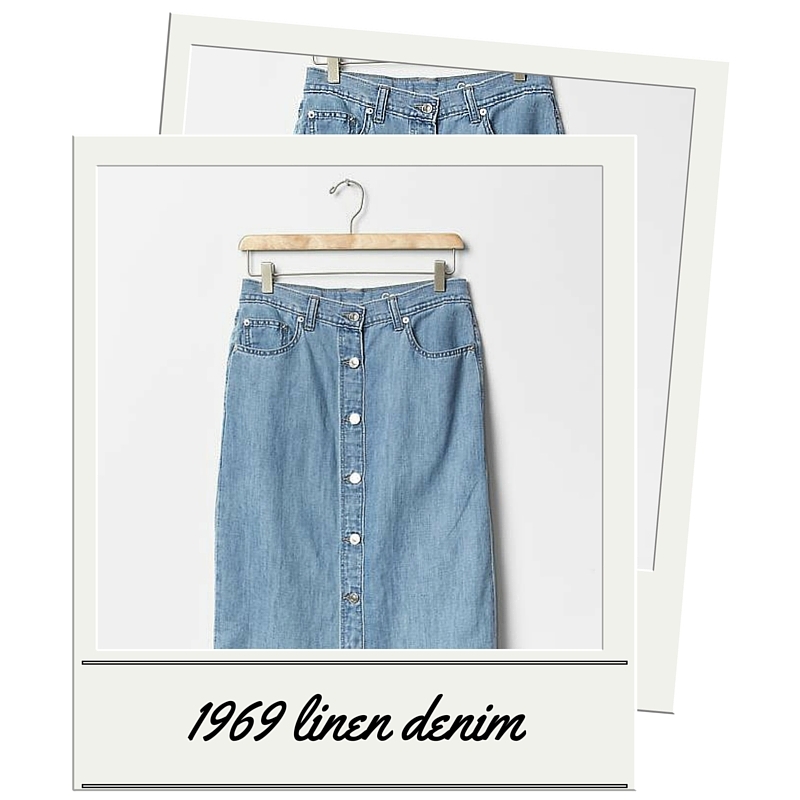 I love this shade of denim for spring as well- a softer blue is perfect for warm weather. I love gladiator sandals, and this particular shoe is very subtle. I love the lace detailing and wide straps along the foot! These seem like they would be stylish and comfortable, at since it's from Target you know it won't cost much! Such a gorgeous shade in a perfect, creamy formula! 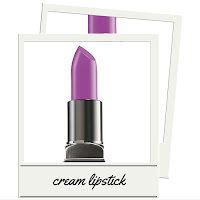 I don't usually go bold with my lipsticks, but I'm thinking a pretty purple like this might be fun to experiment with in the spring in summer. How adorable is this top? Bralets are all the rage, and I love how this one isn't too revealing. 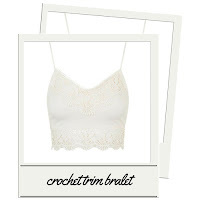 I love the details on the top and think it would look great with shorts, maxi skirts, or high-waisted jeans. 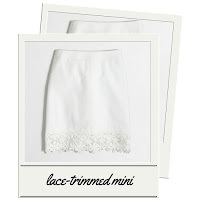 I absolutely love lace skirts, and this one is so cute! 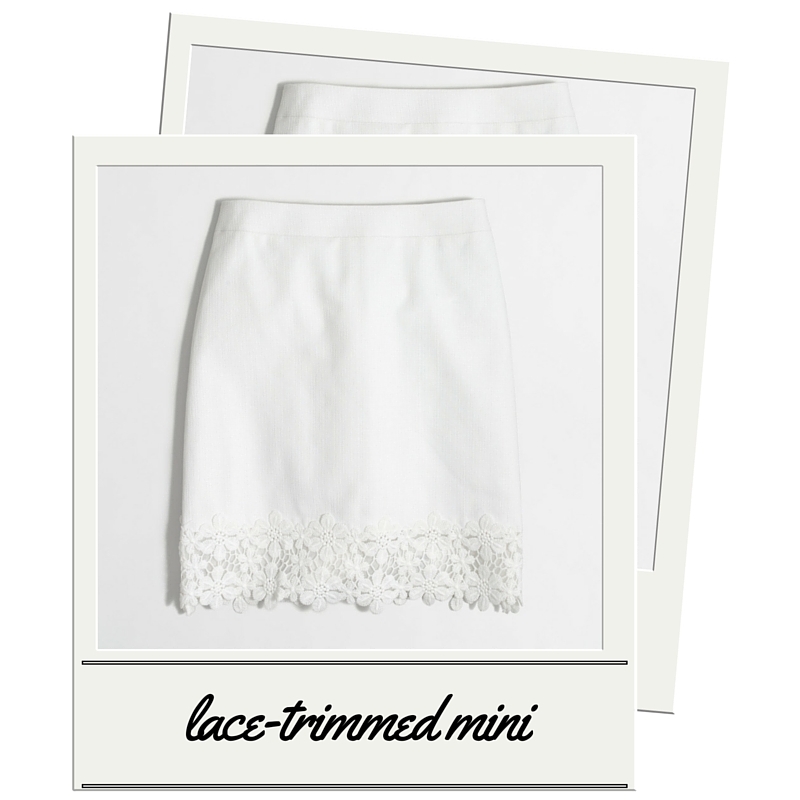 There is just a small lace trim so it's not over-overwhelmingly girly. 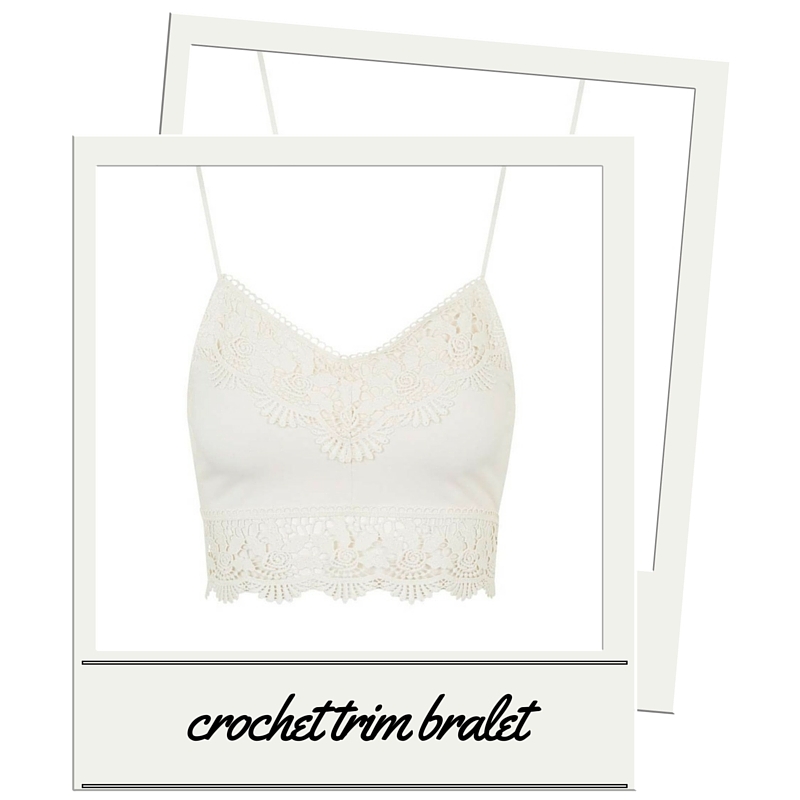 The fresh white makes this really versatile as well and would look great complementing tons of different tops! 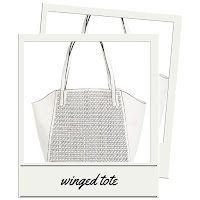 The details on this bag are amazing and make it look really high-end. Would you believe that it's less than $60? I think this would make a great work bag- it's spacious enough to throw everything in but the material can be easily cleaned. I love the fresh white with the laser-cut detail as well! I had to add in a little bit of color with this monochromatic look, and I love this deep berry color. 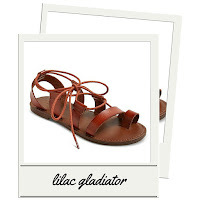 This is a classic shape for a sandal so I think these would be a great piece to invest in. 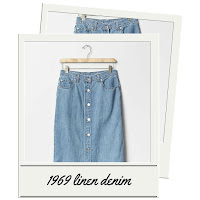 I know I would wear these constantly for years to come with every look imaginable! I am absolutely obsessed with highlights, and Becca makes some of the best out there. 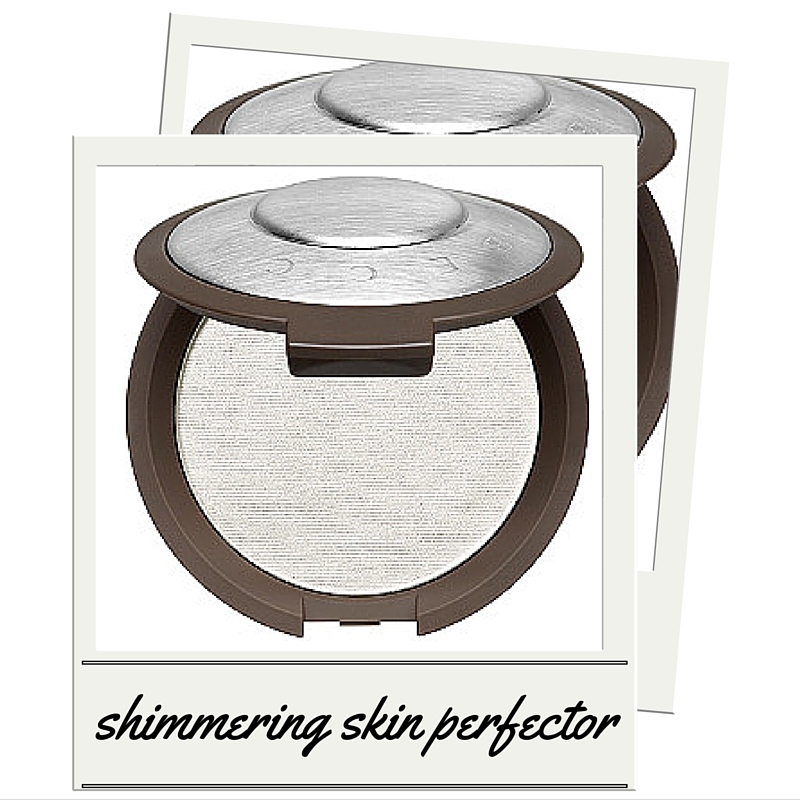 If you're looking for a glow that can be seen from outer space, this is your product. 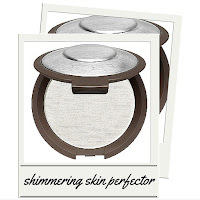 This powder goes on beautifully and lasts forever! I doubt you could get through this in one lifetime! Check out my other wish lists here! Post contains affiliate links, but is not sponsored in any way! Happy Wednesday everyone! Today we're going to be talking about food- specifically what I ate yesterday. Right now, my meals are incredibly random because I'm in the middle of moving! I'm trying to empty out my fridge and pantry as much as possible, so I'm getting some pretty weird combinations lately. Here's a look at the weird meals that I ate yesterday, and make sure you check out the WIAW linkup to see what everyone else is eating! Wraps have been one of my go- to foods lately for breakfast or lunch. At the beginning of the week, I'll usually prep a ton of them so that Dan and I can just grab them as we need. We had some frozen chicken breasts, so I just cooked them and shredded them with some sweet chili sauce. Then I just added some leftover hummus, cilantro, and roasted carrots. Quick and easy! I ran out of coffee at home, so I picked up my favorite coffee at work! I also like to prep for the week by chopping up a bunch of vegetables and dividing into containers so I can grab one for lunch. For some protein, I had some frozen chicken strips! A few months ago, Dan went through a smoothie phase where he picked up tons of different frozen fruits and was going to start drinking smoothies every day. That phase didn't last long, so I tried to use up some of the leftover fruit in the freezer. This was a random mix, but I always say that you can throw any combination of fruit together in a blender and it will taste good. I always like to have frozen fish in the freezer, so I can grab it for a quick meal. I also had some left over noodles and roasted potatoes from another dinner, so I added those and heated up some frozen corn. I got these a few weeks ago from Trader Joe's and loved these! These were the last two in the package, so they weren't as crispy as when I first got them. I love the huge chunks of ginger in the cookies though, so I still enjoyed these! What random combinations have you eaten recently? What is your favorite recent Trader Joe's find? As you can all probably figure out, my workouts lately have been pretty different than what I'm used to. Not only did I stop training for a marathon, but I also cancelled my gym membership last month. This means that I've had to do things a bit differently lately! Today, I thought it would be fun to share what my workouts look like lately. I know that this is only temporary, but I thought it might be helpful to those of you who are also in fitness-limbo! I still run occasionally, but now I'm not following any schedule or plan. In fact, I haven't even been timing or measuring my runs at all. I go out when I want to, run however long I want to, and I'm enjoying every minute! I'm also going on runs with Selma which has made us both very happy. Since it's been heating up outside, I've also loved to run on the trails. I've always loved trail running, so it's been great to get back to that and not worry about messing up my training! Ever since I ended my gym membership, I've been trying to stay in shape in other ways. One of my favorite things to do is a circuit workout while I'm watching a show to help pass the time. While the show is on, I'll do one set of exercises. The commercials are my break, then I'll move on to another set of exercises when the show comes back on. I like to rotate through different muscle groups, so I'll do a set of crunches, then air squats, or jumping jacks. It's fun coming up with different exercises to do, but it gets really hard towards the end of the set! One of my favorite exercises is yoga, but all of my workout DVD's are at our new house. So, I'm using YouTube to get my yoga fix! There are so many great flows out there, so I just type in the kind of yoga that I'm in the mood for. Sometimes that's an intense muscle-building flow, or a recovery stretchy flow, or one specifically for runners. P.S. If you're interested in some of my favorite yoga poses check out this post! Since the weather's been so nice out, Selma and I have been going on really long walks in the evenings. Although this isn't strenuous exercise by any means, it feels good to just be outside and moving! I love to listen to podcasts while I'm out and disconnect with the world. Take it from me- working on a house is hard work! The past few weeks have been filled with working on the new house, and most days I wake up really sore. I'm using my full body to do work, whether I'm hauling wood up and down our hill or shoveling top soil from a truck onto our flower beds. It's nice to be "working out" while I'm working on the house! What have you been doing lately to work out? Do your workouts change throughout the year? Who else doesn't have a gym membership? 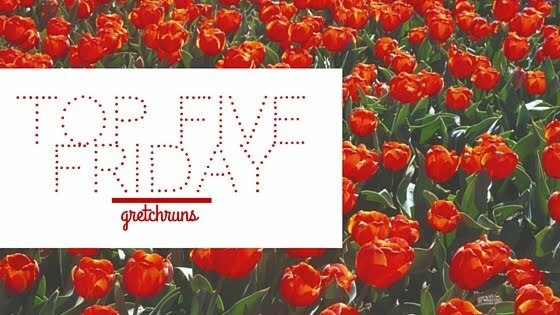 Today I'm sharing my favorites from the week as always. Make sure you let me know what you're up to in the comments below, and I'll see you on Monday! This is one of my favorite times of the year, because baseball season is starting, while hockey and basketball are in playoffs. 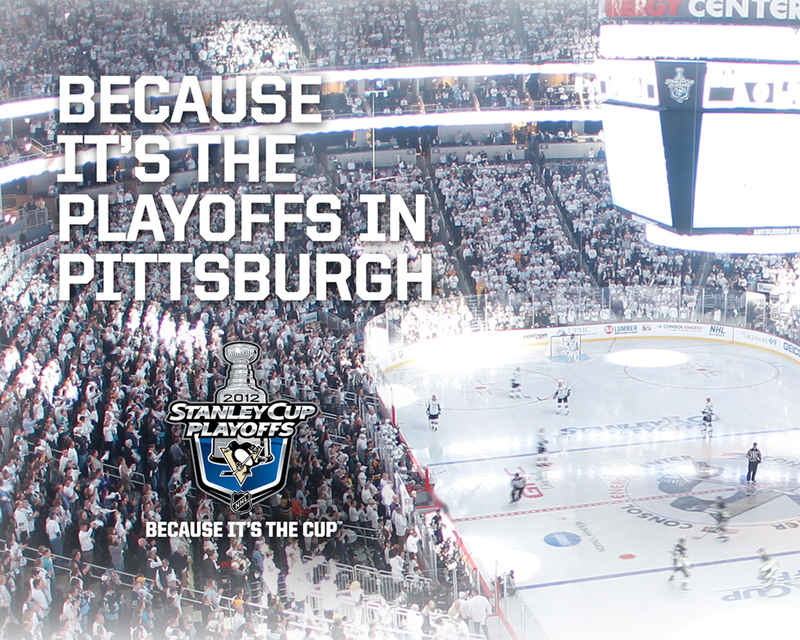 I'm not the biggest hockey fan, but I love following along with playoffs. The Pens are currently playing the Rangers, while the Flyers' (aka my least favorite team..sorry to any readers from Philly) fans did this. And, while Pittsburgh doesn't have a professional basketball team, I love following along with those playoff games as well. It's the best time of the year for a sports fan! Bring a pot of water to a boil, adding in about a tablespoon of vinegar (this helps the shell peel off easily). You want enough water to barely cover your eggs. Once the water comes to a rolling boil, add in your eggs gently using a slotted spoon. Keep the heat up and boil the eggs for exactly 7 minutes, making sure it doesn't boil over. Once the time is up, carefully dump out the water, and add a tray of ice cubes to the eggs. This helps to cool them down quickly. Give the eggs a few minutes to cool, then crack them open (I gently tap the end until it cracks, then use a spoon to peel off the shell). Add to your dish a slice them open for a yummy and easy meal! I like adding mine to smoked salmon and spinach, or roasted sweet potatoes and zucchini. Yum! This dress is one of my all-time favorites. I got it for an absolute steal at Gap (I believe it was on the final sale rack for around $7) and it's one of my most-worn dresses. It's made of a really thick material so it's super flattering, and I can dress it up or down. Plus- POCKETS! I've heard that everyone should have a perfect "LBD" and I think this is mine! I'm excited to start sharing room tours of my house! I'm starting out with the living room, full of before pictures, projects I want to do, and some inspiration (like the one above, which I'm in love with). What are your favorites from the week? Do you have one piece of clothing that you can wear for everything? Are you a hockey or basketball fan? Hi everyone! Last week I shared my favorite bullet journal supplies, and today I'm going to show you how I use my journal. One of the things that I really love about this system is the freedom to use it however best works for you. I've already changed things up a lot in the few weeks that I've had mine, and I love how adaptable it is! I'm sure that my needs will change as the year goes on, and I can keep changing my journal to keep up with those changes. For now, this is the way that I'm using my bullet journal and I hope this gives you some inspiration to start yours! The first section of my bullet journal is for my Calendex. This is a method that was "invented" by Eddy Hope, and it works really well for me. I like to keep mine color coded to help visually see what types of events I have coming up, and mine is currently set for three months. To create a Calendex, just set up your page with the months going horizontally, and days going vertically. I divide mine into weeks as well. Then, I write down all of my bills and pay days with my green marker (color code for money) and mark any holidays or birthdays with orange. From there, the calendex becomes very interactive. On my daily spreads, which I'll talk about below, I'll write down appointments or events as they come back and color code them for the category. Then, I'll come back to the calendex page and write down the page number next to the correct date. Once I'm in that week and I'm setting up my weekly spread, I'll write down the events so that I know what's coming up. This seems like a confusing system at first, but once I started using it and getting the hang of it, I really like it. I love how I can see what's coming up without having a ton of details. This helps me plan better, because if I can see that I have a really busy week, I might want to plan out blog posts ahead of time. If I have a slower week, maybe I'll add in more things to do or use it as a catch-up time. If you want to see a more in-depth explanation, make sure you check out Boho Berry's post! You should already know that I'm all into goals, so it should be no surprise that I have to dedicate a section to my monthly goals. On one page, I have a list of all of these goals divided by category (you can see these on my blog here), and on the other I keep a habits tracker. Most of my goals are broken down by week (things like no spending, keeping my savings goal, etc.) and others are divided by numbers (every 25 miles on the way to my goal of 100 miles in a month). For my monthly habits tracker, I wrote down things that I want to do every day, like foam rolling and keeping my cleaning schedule. I also included my cleaning schedule I shared here and broke it down by room and day of the week. In April, I forgot to add this to my monthly spread, and I can tell you that I haven't been keeping up my cleaning at all lately! I can definitely tell a huge difference when I keep up this system. My weekly spread helps me organize meal ideas, blog posts, workouts, and events. First thing that I do is look in my calendex and see what events or bills I have coming up that week. All I have to do is look up the page number that is written down, and find the colored box. Like I said, this seems confusing at first but now that I've been using this system for a while it works really well for me. For blog posts, I like to plan out what I'm going to be posting every day. I also have a spot for social media sharing (Instagram, Twitter and Pinterest) so I can remember to share my posts online. I also keep track of my workout for the day, as well as meal plan. I realized that I was moving around meals during the week, so I've since adapted this to just have a blank cell where I can put down meal ideas. This is working great so far! Next up are the daily spreads. This is where I list out all of my tasks for the days, along with any events that I have going on. This is also where the calendex comes in. During the day, if an event comes up, I'll write it down, and color code it. Then, I'll write down the page number in the correct date in the calendex. I also like to write down the weather for the day, as well as anything that I have to remember about the day. The daily spread reminds me of a diary, where I can write down what happened that day. I know that some people also use it to track nutrition, a running log, gratitude journal...the possibilities are really endless! Finally, the last thing that I use my bullet journal for is collections. These are all of the miscellaneous things that you want to document that don't really go in a monthly, weekly or daily spread. I like to make collections of doodles, packing lists, keep track of my 30x30 list, or add anything that comes up. In order to keep your collections organized, it's important to use the index at the beginning of the notebook. I use the Leuchtturm A5, which comes with a printed index and numbered pages. When I create a new collection, I write down the page number and title so that I can refer back to it. Instead of having to flip through all of the pages of the bujo, I can look at the index and find exactly what I'm looking for quickly. Have I convinced anyone out there to start a bullet journal? Do you have any other questions about the bujo? What kind of collection would you start? Hi everyone! Today I'm so excited to join in the Show and Tell linkup today because the topic is one of my favorites- Day in the Life! I always love reading about how other people spend their days and it's always fun to document mine. I love to look back on other days in my life to see how things change as the year goes on. This is going to be a different type of day- a weekend! This particular day is last Saturday when Dan and I did lots of work on the house. My parents also came to help us out and it ended up being a really busy day. I hope you enjoy following along a day in my life! 6:00 - Wake up bright and early. We take Selma out and see a few deer and squirrels, then see our neighbor walking his chickens. We're not in the city anymore! 7:00 - Drive to Lowe's (trip #1) to pick up fence posts and gravel. We've been taking trips to Lowe's and Home Depot SO. MUCH. Lately! 7:30 - Drive to Breuggers to pick up bagels for everyone. Life pro tip- if you're getting help from family or friends, always bring food for them. 8:00 - Get home, set up ladder and do other things to get ready for work. 9:00 - My parents arrive, and we all eat bagels and drink coffee. 9:30 - Time to get to work! Our first job was to trim back trees that were hitting the side of the house. We have a cherry blossom tree that's in bloom, but about half of it was dead so we cut that all back. We also realized another small tree in the front yard was completely dead, so we cut that down as well. 10:30 - Move all of the wood down to the mulch pile. Our yard is pretty hilly, so walking up and down with a bunch of wood was hard work! 11:00 - Start prepping the living room for paint. That means taping up all of the baseboards, windows, outlets, spackling any nail holes, taking down window treatments and washing them, and washing all of the walls. Meanwhile, Dan and my dad start to work on the bathroom sink which has been leaking. There's a problem with the faucet, so they take trip #2 to Lowe's to pick up supplies. 11:30 - Finish up prepping the walls and help take apart the old faucet. Once it's taken apart, we realize we don't have plumber's putty to adhere the faucet to the porcelain sink, so the guys go back to Lowe's for trip #3 while my mom and I stop at the mall to fix her watch and I grab some food. 1:00 - Start to work on the gutters. During the home inspection, we saw a lot of water damage in the garage and back corner of the house. While Dan was cleaning out the gutters, we noticed that there was a leak in the corner, which caused water to run down the side of the house and slowly destroy all of the mortar and wood framing. Time for another trip to Lowe's (#4) to pick up caulking! 2:00 - Re-caulk the gutters, and start to chip away all of the broken mortar in between the bricks. 3:00 - Head down to fix the broken fence posts in the yard. There were three posts that were completely rotted and laying down in the yard, so we had to fix those right away so that Selma could be left outside and not chase deer out of the yard (not that this has happened....). First we cut away the wire fence attached to the fence posts, then remove all the old wooden posts, dig holes for the new posts, fill it a bit with gravel, put in the posts, fill in with dirt, make sure it's level, add in the cross pieces of wood, and nail back the fencing. Times three. 4:00 - Just about done for the day! Clean up all the tools and toss out the trash. 4:30 - Head back to our apartment, stopping on the way at Trader Joe's for some groceries for the week. 5:30 - Home! First things first- a shower. I feel absolutely disgusting, and it's amazing how much better I feel after taking a shower! 6:00 - Relax for a bit- read blogs, watch some episodes of Quantico with Dan and eat dinner. I'm so hungry and thirsty! 8:00 - Tidy up around the apartment and pack some boxes to take to the house the next day. We still have a lot of projects to do this weekend - priming the walls, replacing locks, mowing the yard, cleaning up the flower beds, replacing the mortar- so I make a plan for the next day. 9:00 - I'm absolutely exhausted so I head to bed early, and fall asleep almost immediately! That's how you know that you had a busy day. Good night! Your turn- what did you do this weekend? What does a busy day look like for you? Do you like doing house work or would you rather pay someone to do it? Hi everyone, and Happy Marathon Monday! I'm sure most of you know what that means, but in case you don't- today is the day of the Boston Marathon! With that in mind, I thought it was about time that I talk about my own marathon. You might have noticed that I stopped sharing training updates a few weeks ago, and haven't really been talking about the race much at all. With the race only 6 days away, I figured it was time to do some marathon talk. I have to warn you- this post is pretty much a dump of all of my thoughts (with no pictures to boot), so I hope that some of it makes sense. I decided not to run the Gettysburg Marathon. If you've been following me this year, you know that this has been my goal race for the spring. I've been training really hard, got PR's in all of the races that I ran in training, and was feeling great. Then, a few weeks ago something changed. It was around the time that Dan and I put in the offer for our house, and life just seemed to get real. We were staying up late most nights filling out paperwork, meeting with contractors and inspectors, negotiating with the seller, on and on and on. Buying a house is stressful- even worrying about money and figuring out how we would pay the down payment and closing costs was scary, then we had to figure out what repairs we could afford right away for the house to be safe, and what could wait. With all of that going on, most days I just didn't have time to go running. I know that I could have woken up early to run before work or go during lunch time, but I just felt exhausted all the time. I had trouble sleeping at night (I'm one of those people who stresses at night and becomes an insomniac), and would come home from a stressful day at work and just want to stay in bed until I had to go to work in the morning. Then about a week ago, I began to realize that I just can't handle it all sometimes. I'm completely fine with admitting that now, but there was a time (very recently) where I would have just fought through my stress and pain and exhaustion just to finish the race. I was still thinking about doing that, and risking injury (right before a big trip, mind you) just say that I did it, and to prove that I could do it all. For those of you with a blog or are on social media, you probably know exactly what I'm talking about- the fear of letting people down when you put a goal out there. Before I had a blog, it would have been so easy for me to just not run. Who would know or care besides my family? Now, I always feel like I'm letting down my readers if I don't complete a race or don't get a PR. I feel like I have to be perfect all the time, or I'm doing something wrong. After I had this realization that I don't have to handle everything and the world will still keep revolving if I don't run the marathon, I immediately felt a rush of calm wash over me. It felt like I was stepped out of a pool of quicksand and I was finally able to walk on regular ground again. That is the best feeling ever, and I knew I was making the right decision. Ever since then, I've felt so much more energetic during the day, and more like myself Plus, I can quit playing the song "Stressed Out" over and over again ;). I'm even helping out around the house, because I can't use the excuse of "I'm running a marathon in two weeks!" when Dan asks me to help him with manual labor! Anyone still with me? Or did you just jump down to the end of the post? Either way- Here's my "too long; didn't read" for this post: races will always be there, and sometimes it's just not the right time in your life to run one. That's ok! There's always a season for everything in life, and do what's best for you. Happy Friday everyone! I can't believe this is already the 50th Friday post that I'm sharing. Pretty big milestone! This has been such a busy week so I'm just going to drop by quickly to share a few favorites from this week. I hope you all have a fantastic weekend and I'll see you back here on Monday for some marathon talk! This week I could only pick one song as my favorite, because this song completely blew me away. I have to say it's definitely my favorite of the entire year, and I dont remember the last time that I liked a song this much! It's seriously amazing and I hope you like it as well! I've been catching up on this brand new series, and I'm hooked. I love shows that are filled with twists and turns and are a bit dark, and this one delivers. The actors are all fantastic as well. Definitely a must-watch! This is one of my favorite outfits! Dresses are so easy to throw on, and this one is SO comfortable. I love to add a bit of color with some floral flats, and this is my all-time favorite necklace! 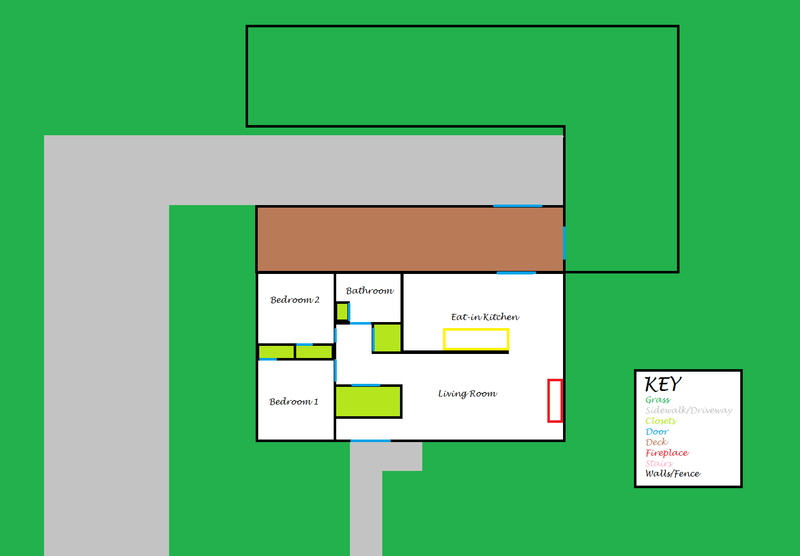 I'll be going room-by-room starting next week along with pictures, but in this post I shared the overview of my house! I am SO excited about this series and I hope you all like it! What shows are you loving lately? What is the best song you've listened to this year? Hi everyone! I'm excited for today's post, because I'm teaming up Amanda, one of my favorite bloggers out there, to give you some advice. Once I found out that Amanda is a licensed realtor, I knew I had to get some help with her during my home buying process. Luckily for me, she was willing to share some secrets and now I'm going to pass that knowledge on to you. 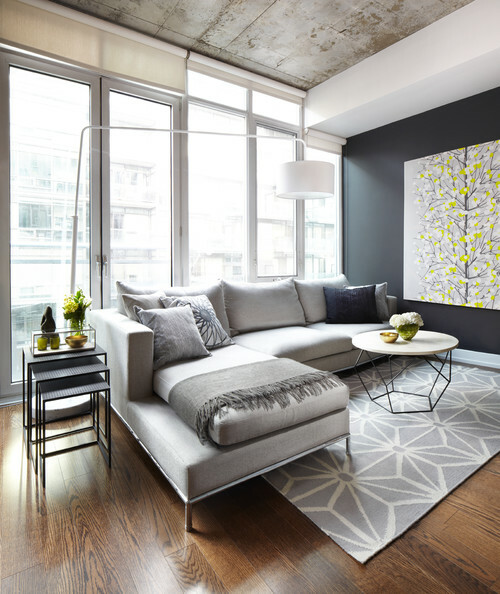 Whether you're currently house hunting, or hoping to do so in the next few years, I think this is all great advice and I hope you'll find it helpful! Take it away, Amanda! and other things that are super important, but not as commonly taught in classes (or at least not mine!). is different, but these tips are based on my experience working in real estate in Iowa. 1. Getting pre-approved is the very first step when you start to get serious about buying a home. at a house, fall in love with it, and then learn that it’s out of reach for you. be split between the seller’s agent and the buyer’s agent. away so you don’t miss anything. much of a down payment. active and (usually) not accepting showings. 8. Before you make an offer on a home, make sure you’re aware of the costs that may come up. front the fees/costs you should be ready for. you close on the home. majority of people, they may only do this a small number of times (or once!) in their life. Although it can be a stressful process, try to have fun and make the best of it! Thank you so much to Amanda for all of the helpful tips! Be sure to check out her blog, Exploring Life and Things. I know you'll love it as much as I do! 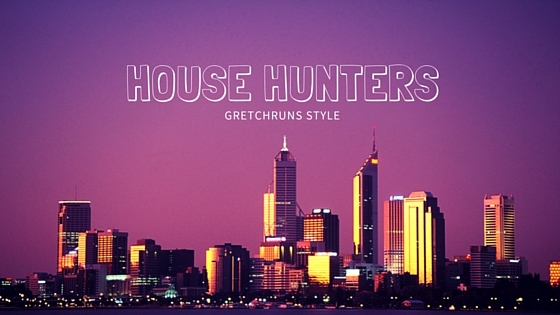 Who else is in the house hunting process? What tips do you have for finding and purchasing a home? Do you have any other questions about home buying?